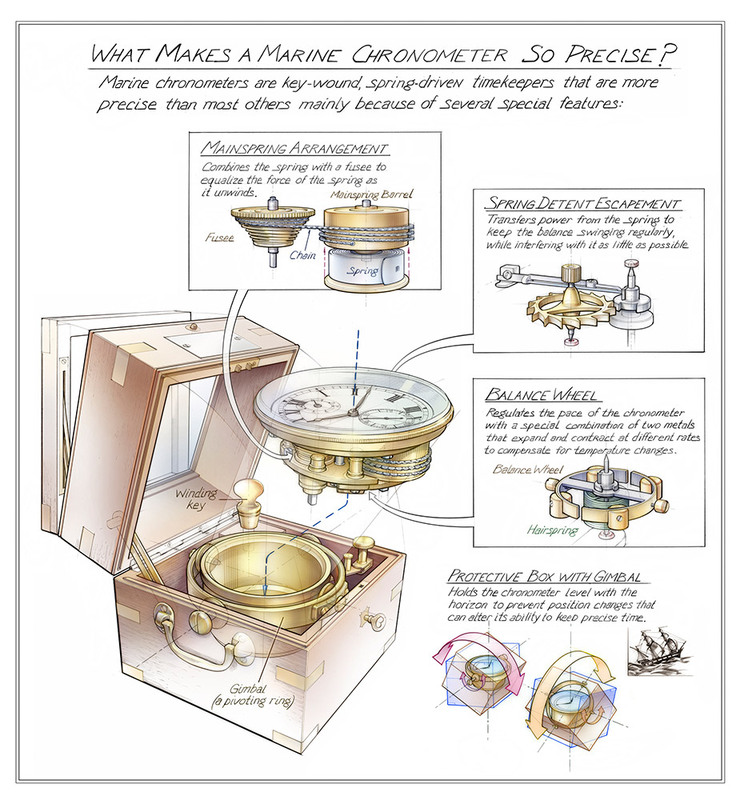 What Makes a Sea Chronometer So Precise? MAINSPRING ARRANGEMENT – Combines the spring with a fusee to equalize the force of the spring as it unwinds. SPRING DETENT ESCAPEMENT – Transfers power from the spring to keep the balance swinging regularly, while interfering with it as little as possible. BALANCE WHEEL – Regulates the pace of the chronometer with a special combination of two metals that expand and contract at different rates to compensate for temperature changes. PROTECTIVE BOX WITH GIMBAL – Holds the chronometer level with the horizon to prevent position changes that can alter its ability to keep precise time. Marine chronometers are key-wound, spring-driven timekeepers that are more precise than most others mainly because of several special features.